Enjoy your favourite summer traditions while grilling tasty foods outside with friends and family with this fantastic BBQ gift set. 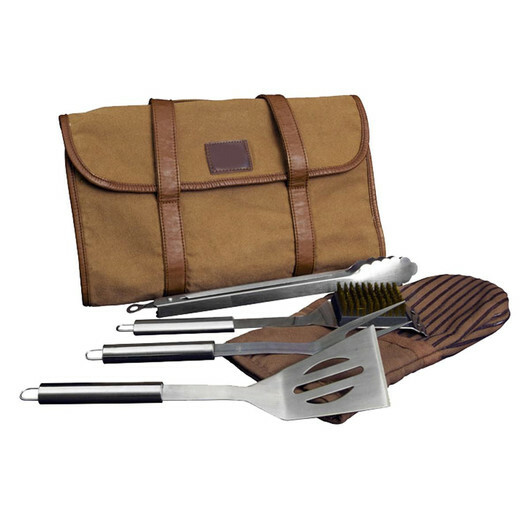 Give the grill master in your house this amazing BBQ gift set, so they can work like a pro. 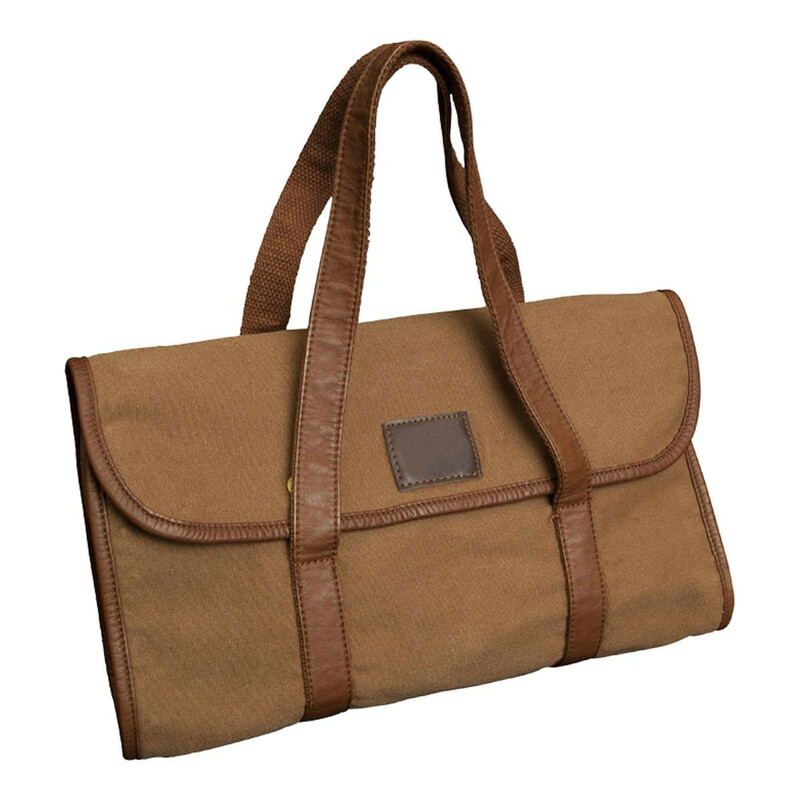 Featuring a handsome canvas carry case, 16 oz. 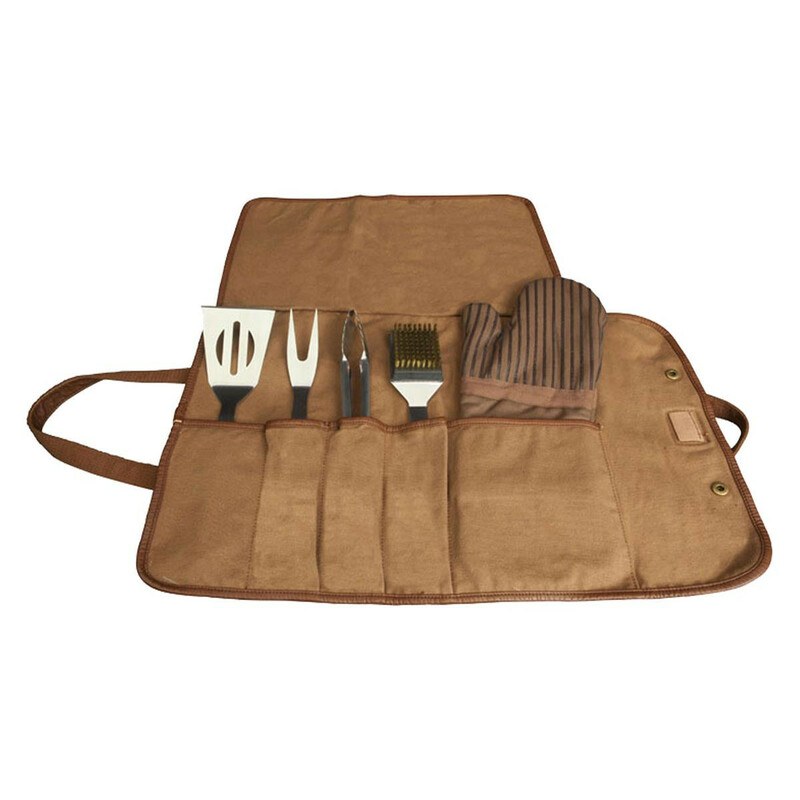 washed brown cotton canvas, full grain cowhide and polyurethane, heavy duty stainless steel spatula, fork, tongs grill brush and oven mitt, leather patch perfect for a laser etched logo, and a total weight of set is approximately 1.2kg.